2324 Scott Highway Ryegate, VT. | MLS# 4629225 | Vt. & NH Homes for Sale, Property Search in Wells River/Woodsville Areas. This home offers large open fields plus lots of frontage on the Wells River, Zoned Comm/Res., garden space, can fish in your back yard, or do home occupation as this is home is very large. 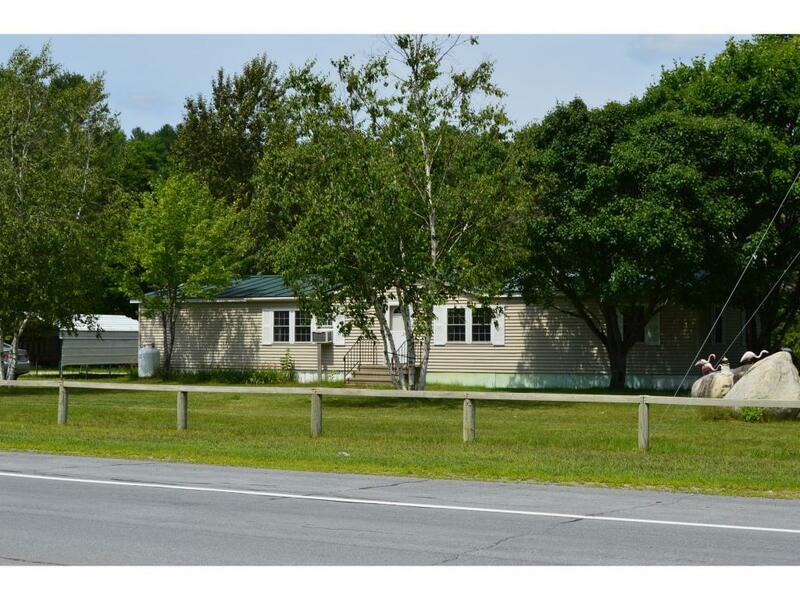 Over sized manufactured home, with dining room, kitchen, large living /family room, master bedroom with bath, plus 2 bedrooms with bath, mud room with w/d. Lots to offer.